When you choose Bulldog Movers as your trusted moving company for an Alpharetta, GA, move, you’ve chosen the area’s most professional movers. Whether your move is residential or commercial, local or long distance, our full-service moving company has the expertise to get the job done right. The outstanding packing, moving, and storage services we provide and our commitment to complete customer satisfaction have earned our moving company a ProMover designation from the American Moving and Storage Association and the Consumers’ Choice Award – a distinction we have won for every year for nearly a decade straight. Highly trained packers and movers who have the skill and experience to properly disassemble, pack, transport, and even reassemble household and office furnishings of all kinds. They can even provide custom crating for priceless antiques. Dependable moving vans with features like air-ride suspension and lift gates. 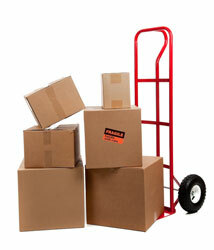 Plus, they are longer and taller than the standards trucks at other Atlanta area movers. Optional storage space for short-term and long-term needs in our 40,000-square-foot, clean, highly secure warehouse facility. Competitive moving estimates that include all necessary trucks, labor, and equipment for an efficient and cost-effective move. Plus, we never charge customers for boxes and other non-included supplies that aren’t used. To learn more about any of the services provided by our moving company serving Alpharetta, GA, contact Bulldog Movers today.